BEFORE THE 90 DAYS Larry quits McDonald’s to Youtube himself living in a camper in the Phillippines? 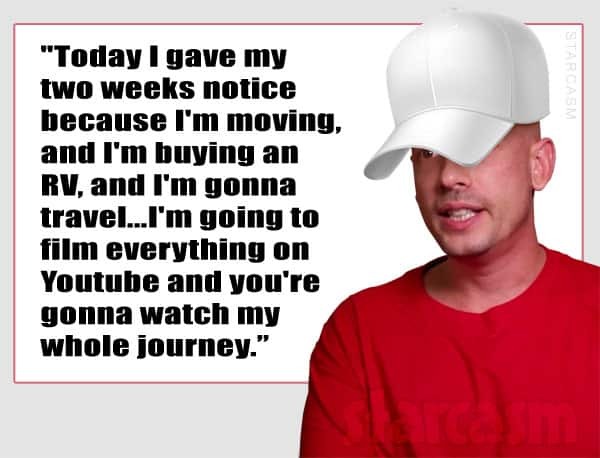 Before the 90 Days star Larry Passariello stated many times on the show that in order to pay for his trip to The Philippines to meet his potential bride Jenny he had to cash out his 401k from ten years working with McDonald’s. 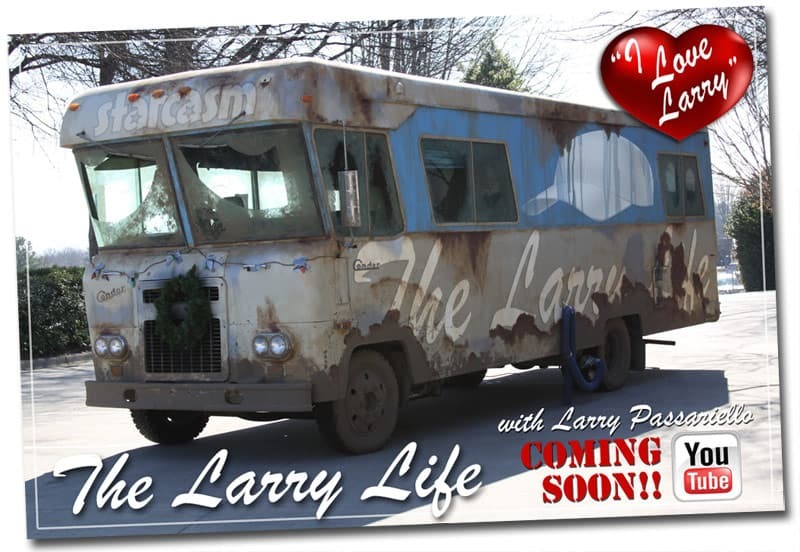 Now, Larry is apparently going all in as he just announced he is quitting his job at McDonald’s so he can go back to the Philippines, buy a fixer-upper camper, and document his life on Youtube — sort of a do-it-yourself Before the 90 Days spinoff. “Today I gave my two weeks notice because I’m moving, and I’m buying an RV, and I’m gonna travel,” Larry says at the beginning of the clip, in which he is talking with an unknown man on speaker phone. “I’m gonna buy the RV, I’m gonna fix it up, I’m gonna sell all my stuff in the house — I’m changing my life completely,” he adds. Larry says his return flight to the Philippines is December 26 because the fares were so low the day after Christmas. He says he plans to stay for a month and a half to two months, and he and Jenny will be visiting her parents in a neighboring Muslim country (where they work) before trekking up to Jenny’s home village in the mountains to see her grandmother. In case you didn’t know, Larry has been making Youtube videos for seven years. He does a lot of comedy skits and other funny stuff — but has yet to get much traction. “I’ve hoped and dreamed…of my Youtube becoming famous,” Larry admits. He mentions that a recent clip he uploaded featuring himself and fiancee Jenny, which he put zero production effort into, has over 17,000 views, so he is optimistic that his exposure on Before the 90 Days will help give his channel a jump start. In the beginning of the clip, I got the impression that Larry would be purchasing the RV in the Philippines and driving around there, but later in the video he says that after he returns from the Philippines “We’re going to take the RV around the United States.” So maybe he is buying an RV here in the US? At least that would mean his fan favorite Chihuahua Rose could go along and be a part of the new series!